Dr Jörg Krämer was born on August 7, 1966 in Düsseldorf. He studied economics at the universities of Bonn and Münster. In 1992 he became Research Assistant at the German Business Cycle Research Department of Kiel Institute for World Economics, which produces growth forecasts for the German government. Three years later, he received his PhD from Prof. Dr Horst Siebert, the former President of the Institute and Member of the German Council of Economic Advisors. Subsequently, Dr Krämer worked from 1996 to 1997 as German Economist at Merrill Lynch Capital Markets Bank Ltd. 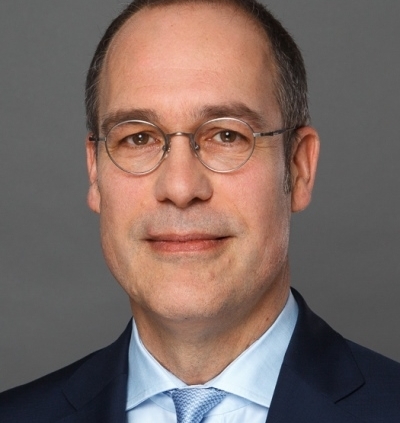 In 1997 he joined Invesco Asset Management Deutschland GmbH in Frankfurt as Senior Economist and became its Chief Economist in 2000. In 2005 Dr Krämer became Chief Economist of Bayerische Hypo- und Vereins- bank AG. He joined Commerzbank in July 2006 as Chief Economist and Divisional Board Member for Research. Dr Krämer has been a member of the ECB Shadow Council since 2009.